1. 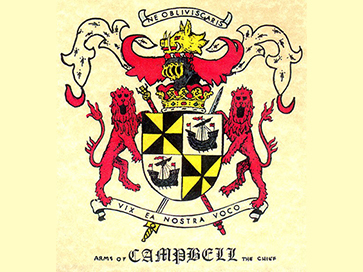 Lady Louise Iona Campbell (b. 26 Oct 1972), married: 18 Apr 1998 Anthony Merrik Burrell (b. 10 Jan 1969), 2nd son of Mark William Burrell, of Bakers House, Bakers Lane, Shipley, Horsham, co. Sussex (by his wife Margot Rosemary Munro, former wife of Mackenzie Munro and 2nd dau. of Westray Pearce, of Killara, New South Wales, Australia), 2nd son of Sir Walter Raymond Burrell, 8th Bt. CBE DL, by his wife Hon Anne Judith Denman OBE, only dau. of Thomas Denman, 3rd Baron Denman, and has issue.